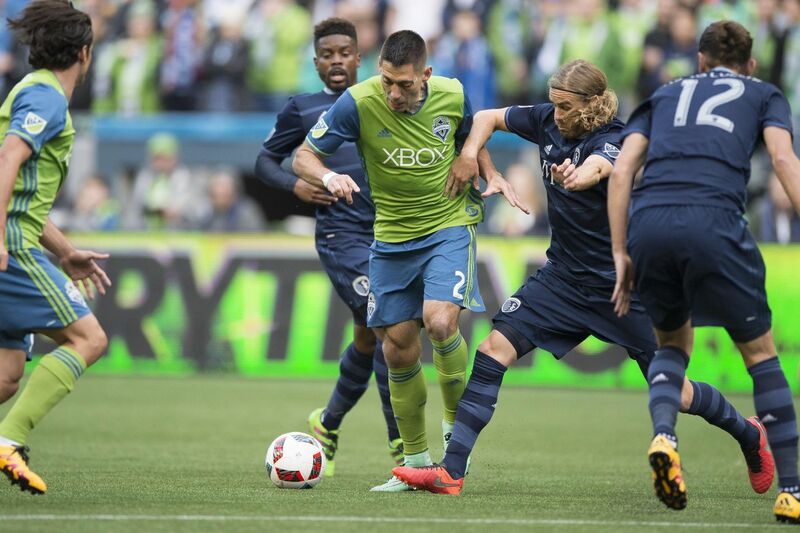 Sporting KC opened up MLS play in Seattle to take on the Sounders, led by USA soccer star Clint Dempsey. It was a defensive battle from the start with Sporting giving up just 2 shots on goal through the match. Conversely, Seattle gave up just 4 shots on goal to Sporting, but in the 73rd minute, Nuno Coelho knocked in a score for Sporting which would end up being the difference in the match. Not only was the win over a quality opponent a great start to the season, but a road when in which you shutout the other team and record a full 3 points is extremely satisfying. Following the match, Vermes responded to a question about the three players missing by saying there really isn’t anything to talk about until they are fit and ready to go. The team is trying to make sure the injuries don’t turn into something worse and force any or all of the three to miss additional time. For now, the team will rely on the rest of the group, which includes some of the MLS’ best in Dom Dwyer, Graham Zusi, and Matt Besler. Sporting did have one distinct advantage heading into the half and throughout the second half, as Seattle was a man down after Oniel Fisher was removed in the 41st minute with a red card. Vermes talked to his team at the half about attacking and controlling the game with the extra man as their advantage. His team responded and Sporting came away with a big win. Next up is a home match against the Vancouver Whitecaps at Sporting Park on March 12. Tickets for Saturday’s match are on sale now at Tickets For Less. Sporting Park has become the best home field advantage in the MLS and one of the best venues to watch a sporting event anywhere in the country. Don’t miss your chance to catch Graham Zusi and Co., take the pitch and make another run at an MLS title. With zero hidden service fees, what you see is what you get on all ticket purchases.